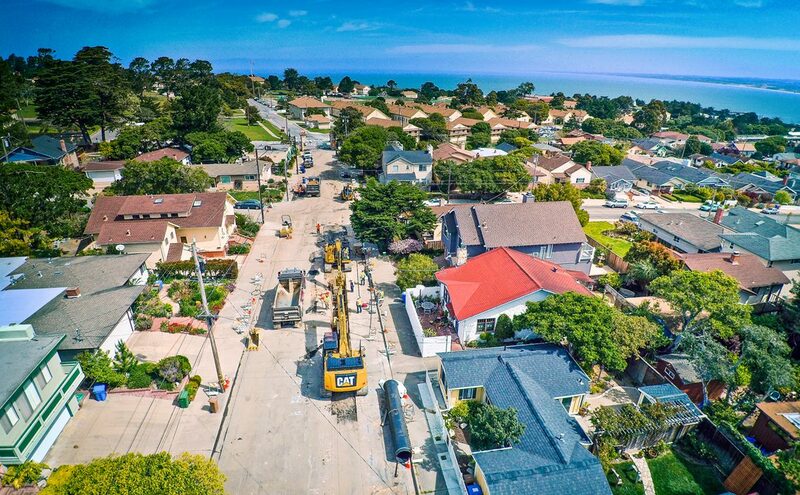 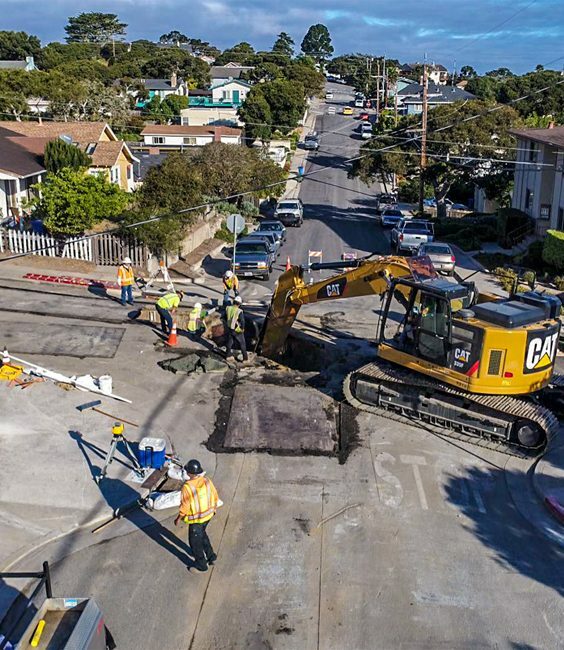 To help the Monterey Peninsula protect river habitats and the Seaside Groundwater Basin, California American Water selected Garney to install nearly 19 miles of 36″ ductile iron and 42″ PVC pressure water pipe. 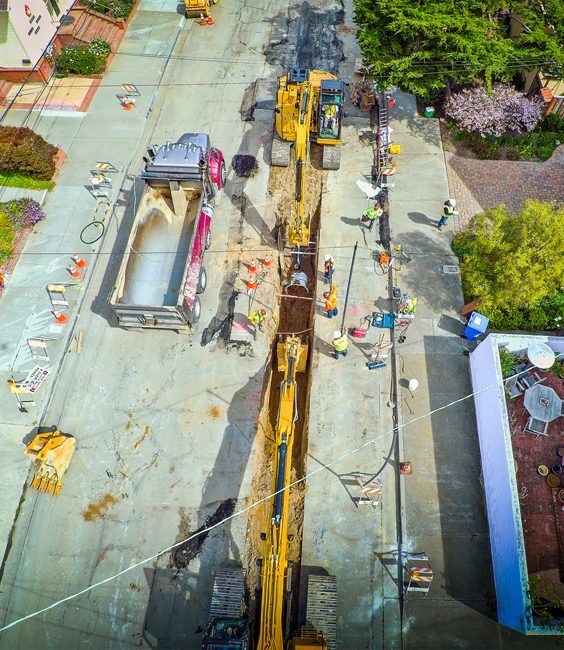 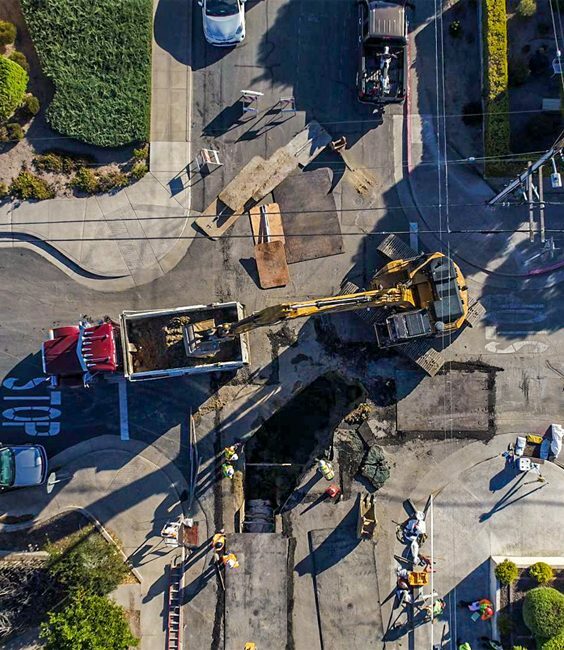 Half of the pipeline was installed in the downtown streets the 130 year old city, requiring careful considerations and traffic control for narrow, winding historical streets. 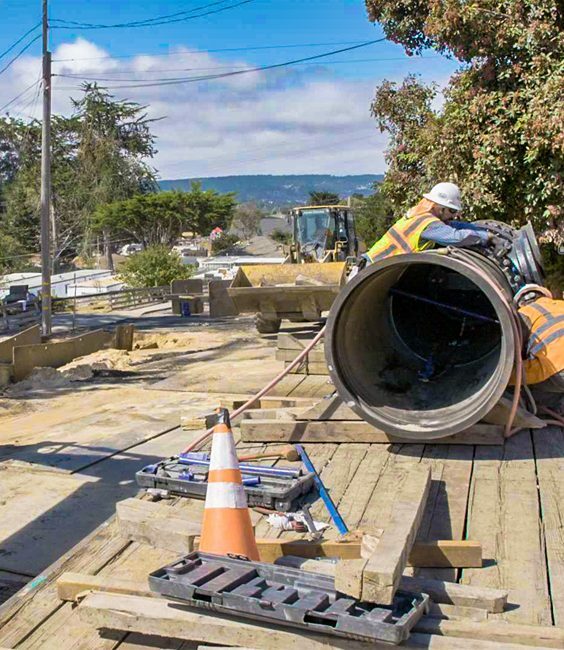 Connecting the pipeline also requires two a pipe bridge crossings, an 800 FT auger bore.